unforgettable portrait of Socrates as a midwife of wisdom. This new edition uses the acclaimed translation by John McDowell. 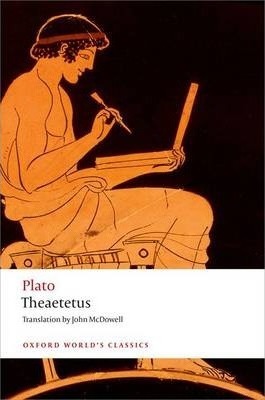 It includes a valuable introduction that locates the work in Plato's oeuvre, and explains some of the competing interpretations of its overall meaning. The notes elucidate Plato's arguments and draw connections within the work and with other philosophical discussions. John McDowell taught at University College, Oxford before moving to Pittsburgh in 1986. He was the John Locke Lecturer at the University of Oxford in 1991. His publications include Mind and World (1994), Mind, Value, and Reality (1998), and Meaning, Knowledge, and Reality (1998), all Harvard University Press. His edition of Plato's Theaetetus was published in the Clarendon Plato series in 1973. Lesley Brown was Centenary Fellow and Tutor in Philosophy at Somerville College, and a University Lecturer in the Faculty of Philosophy, University of Oxford; she is now an emeritus fellow. She has published widely on Plato's dialogues, notably the Theaetetus and Sophist, as well as on Aristotle. She wrote the Introduction and Notes for the new edition of Aristotle's Nicomachean Ethics in OWC (2009).